From class to court? A system that finds more and more school-age children wrapped prematurely in our flawed criminal justice system continues to plague the United States. 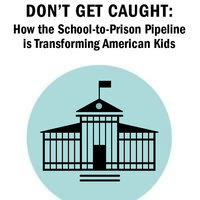 Please join Texas Observer Civil Rights Reporter Michael Barajas, Marshall Project reporter Eli Hagar, and WNYC’s Kai Wright for a discussion about the school-to-prison pipeline moderated by The Appeal’s Sarah Leonard. This event is co-sponsored by the Executive Dean's Office of the Schools of Public Engagement and the Milano School of Policy, Management, and Environment. Humanity, Society, Social Justice, Education and Learning, Race In The U.S.